The CSB Baker Illustrated Study Bible (Baker Books, 2018) is designed to both satisfy your hunger and increase your appetite for God’s Word. 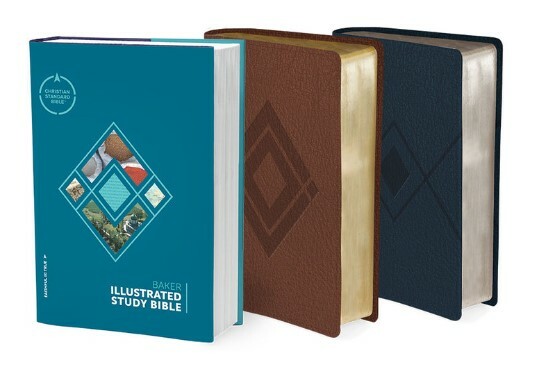 By pairing the highly reliable, highly readable Christian Standard Bible (CSB) (@CSBible) translation text with extensive notes, illustrations, maps, and articles from leading evangelical scholars, this full-color study Bible will help you understand the Scriptures and the world in which they were written as never before. The CSB Baker Illustrated Study Bible is a fully illustrated, information-packed study Bible featuring the clear and accurate CSB translation. Its robust study features include contributions from more than 200 evangelical Christian scholars who are experts in their fields. In all, this Bible includes more than one million words of study notes to help you understand and apply the life-changing message of God’s Word. Single-column Bible text makes it easier to read and study. Words of Christ are in red. An extensive system of cross-references directs you to related passages to strengthen and deepen your study. Footnotes provide further information from the translators of the Christian Standard Bible relating to the understanding of the original languages. The information-rich, section-by-section study notes are the driving force of the Baker Illustrated Study Bible. They offer fascinating insights into the Scriptures to help you deepen your understanding of God’s Word. The section-by-section outline structure of the study notes shows you how each passage fits into the big picture of the book. Verse-by-verse details are brought into a coherent whole to illuminate the meaning of each passage. The connections draw your attention to significant themes and emphasize the unity of God’s Word. They highlight fascinating connections between passages. Hundreds of full-color images bring the world of the Bible to life. You can explore important concepts in a deeper way through more than 150 articles. More than 450 clear and accurate definitions of key words provide meaning and background for people, places, and ideas. More than 100 full-color maps place the action of the Bible in its geographical setting. Artists’ reconstructions, driven by historical and archaeological study, help you encounter the past in a new way. Extensive time lines show how key people and events in the Bible connect with one another and with events in the ancient world. Key family trees help readers track intergenerational connections. Figures and charts organize key information in a way that is easily understandable. How to Read, Interpret, and Apply the Bible is a guide to reading the Bible alertly, interpreting it accurately, and applying it wisely to your life. You will get the most out of your study of the Bible if you are intentional and study with a purpose. The lists of articles, definitions, maps, figures, and artists’ reconstructions offer a great way to study key concepts and navigate the variety of visual material. 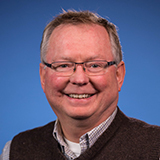 Section introductions for each section of the Bible (the Pentateuch, the Historical Writings, the Poetic Books, the Prophetic Books, the Gospels and Acts, and the Letters and Revelation) explain the ideas that shape each section of Scripture. These will help you understand how a book or set of books fits into the whole story of the Bible from Genesis to Revelation. Book introductions offer an overview of each book’s message, discuss authorship and key background information, and present an outline of the book’s structure and content. They place each book in its context and help you see how it fits into the unfolding message of God’s Word. The concordance is an alphabetical guide to key words in the Bible. You can find familiar passages, do word studies, and follow biblical themes that interest you. The Bible is meant to be read, understood, and shared. So your translation of God’s Word should be true to the original and one you like to read. The Zondervan Illustrated Bible Dictionary is Now Part of Bible Gateway Plus!